During any presidential election, you can expect a barrage of promises from the yard sign endorsements, bumper stickers, stump speeches, and media headlines. All pledge to improve the economy, provide better education for all, and preserve the environment. This year has repeated that routine, and certainly hasn’t lacked in drama. Oftentimes, when the big issues of the campaign are revealed —with the slogans, speeches, and promises leading the conversation —an unbiased source can help sort out rhetoric from reality. 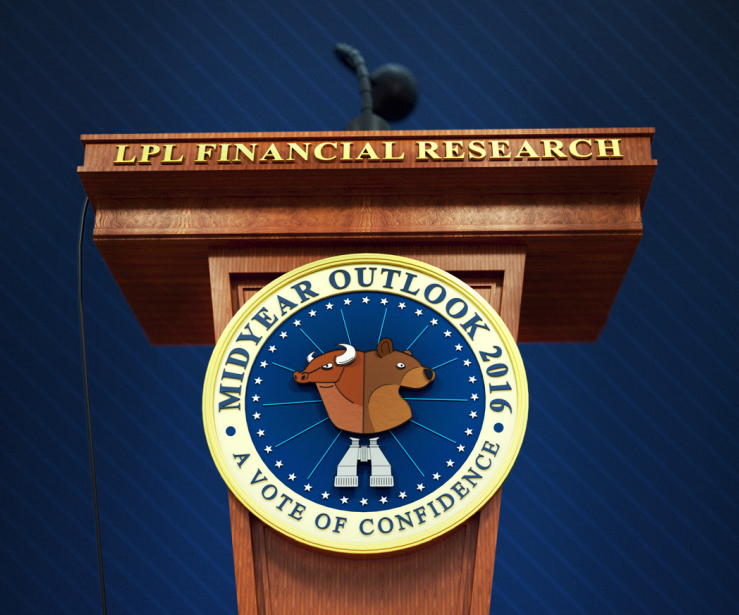 A noisy year so far in financial markets has felt like a series of fiery stump speeches. In our Outlook 2016 publication, we proposed that we should all “embrace the routine.” Our forecasts called for what may be considered routine year-end results for the U.S. economy, stocks, and bonds in 2016. However, an important caveat was included: How we get there may be anything but routine. Our emotions were tested at the start of 2016 —and again in late June. The S&P 500 had its worst start to a year ever, with a 10.5% decline in just 28 trading days, and more 1% daily moves up and down in the first two months of the year than we have seen since 2009. Investor sentiment polls showed the same small number of bulls as was seen near the March 2009 lows, and it seemed as though almost everyone was on recession watch. Yet, by mid-June, the S&P 500 was within 3% of its all-time high, had gone 50 days without a 1% drop, and had gained for three consecutive months. After that bounce back, however, we faced new opposition in the form of an unlikely candidate. On June 23, 2016, the United Kingdom (U.K.) surprised everyone by voting to leave the European Union (EU). In the two days following the outcome—otherwise known as Brexit—the S&P 500 dropped by 5.3% to 2% below where it started the year. Following that two-day drop, however, the S&P 500 showed its resiliency and within two weeks it was actually above its preBrexit levels and up over 4% for the year. Much like the start of the year, we expect the remainder of the year to be similar—with the market remaining resilient and potentially posting gains by the end of 2016. 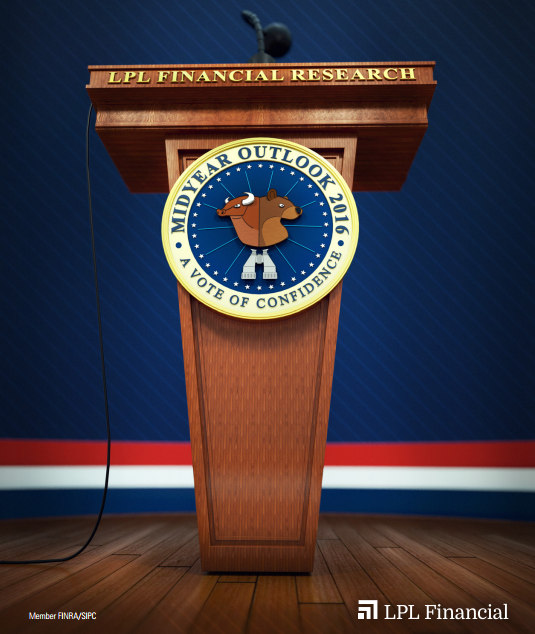 LPL Research proposes a vote of confidence: in the economy, the market, and most importantly, in our ability as investors to remain focused on our long-term goals. This is not always easy. We may be entering the eighth year of this economic recovery and bull market, but that doesn’t mean the memories of the Great Recession have faded away; and the volatility we’ve seen this year revives those memories and takes an emotional toll.